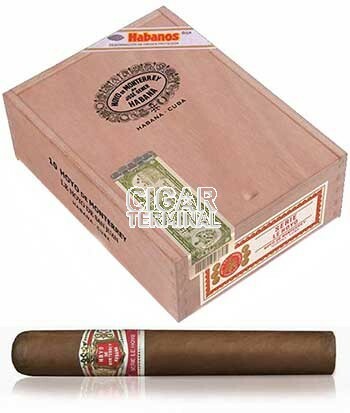 The Hoyo de San Juan from Hoyo de Monterrey is a tasty Habano, of Geniales format, of 54 ring gauge and 5.9” (150mm) long and comes in a 10 cigars cabinet. Released at the 2014 Habanos Festival, this big ring gauge cigar is reminiscent of the old brand, but with a modern twist that appeal to many big ring gauges aficionados. It sports a new band which reads “Serie Le Hoyo” but as any Hoyo de Monterrey, it is hand rolled only using tobacco from San Juan y Martínez district, where the brand was born in 1865. It is of light to medium flavor, very aromatic and rich smoke. One of the best Hoyo out there. Has a great potential for aging, which would make it even smoother. The Hoyo de San Juan is a delicious cigar which, despite its young age, has great qualities. •	Complex cigar, very creamy and sweet with dominant flavors of wood and hay. •	Ages very well. Smoke 1 or 2 and keep the rest for later. This cigar is a great smoke that will please aficionados as well as beginners, being very flavorful and creamy. 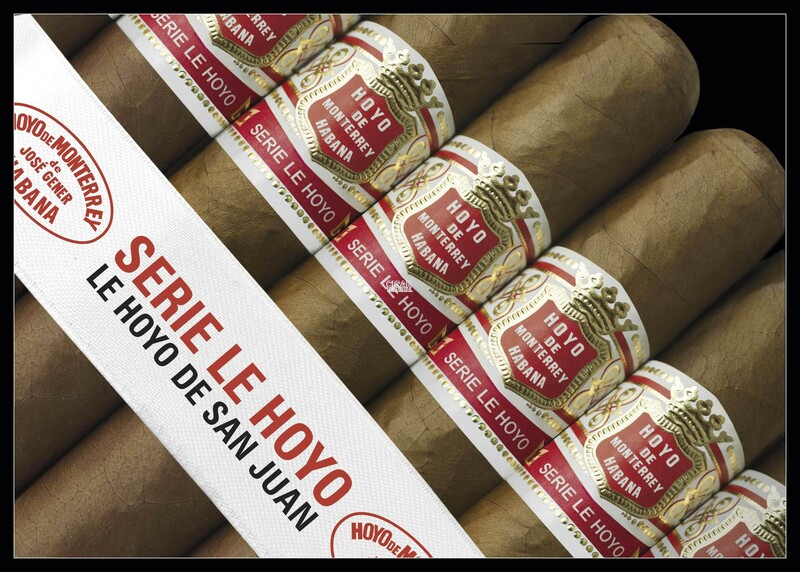 The Hoyo de San Juan comes with a special band “Serie Le Hoyo” that is a bit larger than the usual band. The cigar feels massive in hand, and it is also beautifully rolled. The wrapper is glossy and smooth, only minor veins are visible, the color is between a Colorado and Colorado Claro, semi-matte light brown color. The cigar is well packed, with no soft spots, just a good resistance. And the triple cap is beautiful and almost seamless. The wrapper smells of hay, tobacco, fresh shaved wood, some peppermint and dried fruits smell come out from the foot. At cold, the draw gives some fruits, some nuts and some delicious spices. It is overall very sweet. Once cut, the draw is near-perfect, just the right amount of resistance. When lit, the first draws give a lot of sweetness and creaminess. The burn line starts a bit wavy, but corrects itself quickly. A voluminous amount of smoke is released after each puff. The first third of the cigar is very light in strength, with a body at medium level. The flavors at the beginning are mostly wood, grass and sweet aromas of flowers, like rose. It is very fresh and sweet overall, there is also some soft spices, cinnamon, cloves, pepper. The smoke is very creamy and long. It is very smooth. The cigar is burning well and slow, the burn line is now clean and the smoke is velvety and plentiful. In the middle third, the dominant flavors are of grass, sweet wood, herbal notes, fruits and tobacco. There are also some nutty and toasty notes. The cigar is still very creamy and complex, surprising for a cigar as young as it is. The smoke coming out of this beauty is still voluminous, the draw remains cool and the burn line is sharp. A good length of ash holds up at the foot. In the final third, the cigar strength is picking up; the body is now at a solid medium level. The flavor of wood remains the dominant flavor; there are still characteristics of hay and toast. There are also notes of nuts, caramelized sugar, chocolate and coconut. The pepper comes back and brings a zing to the back of the throat. Overall the smoke is still very creamy and sweet. In short, the final third of the cigar is beautiful. In summary, the final is a cigar that has to be smoked slowly to be able to enjoy its complexity and creaminess.